Gomti has been developing software for 10 years. She is in love with domain driven design and principles from agile manifesto. She loves breaking communication barriers. 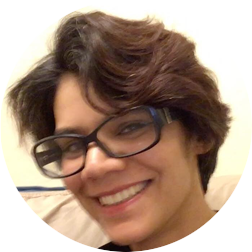 She coaches her team on software development fundamentals, TDD and importance of learning the domain. She is equally passionate about work and workout so if she is not in her office or at home, she is probably in the gym. Introduction of agile development process led to continuous delivery and welcomed changing requirements. But using agile development process does not guarantee the success of projects. Many projects lack the collaboration between the domain experts and development team. This lack of collaboration leads developers into building features without clear understanding of domain and alignment with business requirements. Developers get frustrated because they think requirements change constantly. Conversely, Business gets frustrated because they think development team does not understand their needs. The purpose of domain driven design is to solve this problem by emphasizing on collaboration between domain experts and development team to create unified domain language. This enables the development team to really focus on problem domain, effectively communicate with business and develop product that aligns with business needs. In this talk, I will share my past experiences about some of the common pitfalls, bad practices, cultural barriers and lack of synergy between agile process and DDD leading to failing projects. You will learn strategies to overcome these challenges in your projects and be more successful.